Today I would like to present to you a research about a pretty unique and promising project that my friend and fellow Dojo contributor Xavi and I recently spent some sleepless nights over. We had a lot of fun doing our detective work on the rather elusive Cryptobontix currencies and are happy to share what we managed to “dig up” (sorry, I couldn’t help it). Working Product: Cryptobontix have a working product that has been in the making for several years and launched as Unity Ingot in Summer 2017. They rebranded, relocated to Canada, expanded on the original idea and formed a new legal entity. The exchange and market platform Arbitrade will be most likely holding an ICO in May. Roadmap: The Cryptobontix roadmap in the whitepaper from November 2017 is outdated by now and a new whitepaper is expected. 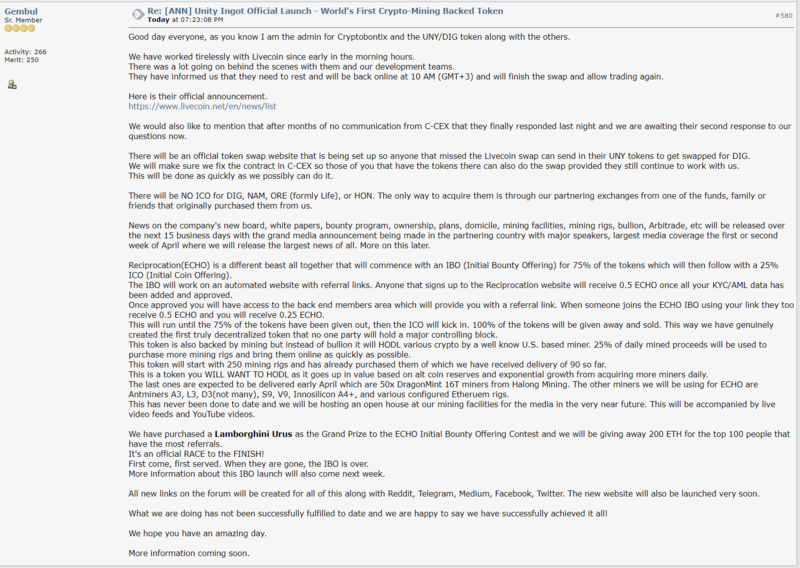 About a month ago we looked into something that was pretty much flying under the radar at the time and it still largely is: Unity Ingot, a project that was launched in May 2017, was recently (Q3 2017) re-founded under the name Cryptobontix. Unity Ingot bought mining rigs from their ICO earnings and used the crypto mining proceeds to buy physical gold and silver. As Cryptobontix, they held a token swap on February 21, re-branding $UNY to Dignity ($DIG) as a gold backed token and launching three similar tokens for silver, platinum and palladium ($NAM, $ORE and $HON). The value of $UNY skyrocketed with the news from around $0.003 to a high of above $0.12 (There was virtually no volume when it was below one cent though, most people bought in at $0.02). The converted $DIG tokens are trading for around $0.14 on only one exchange right now. First we’ll explain Cryptobontix’ business model and how they are related to Arbitrade, a very ambitious new exchange that will hold their ICO in April. Cryptobontix are setting up miners that will mine BTC, Eth, Dash and Monero. Cryptobontix will use 50% of the earnings from their mining operation to buy physical bullion, 20% to buy more crypto mining rigs to ensure exponential growth, 15% to buy back tokens from the market and 15% to cover the cost of their company and mining rigs. This will happen on a weekly basis. They claim to have acquired major mining consultants to find partners to house and operate the mining rigs: Coin miner LLC will provide Cryptobontix and Arbitrade with 65.000 new and used mining units over the next 24 months. 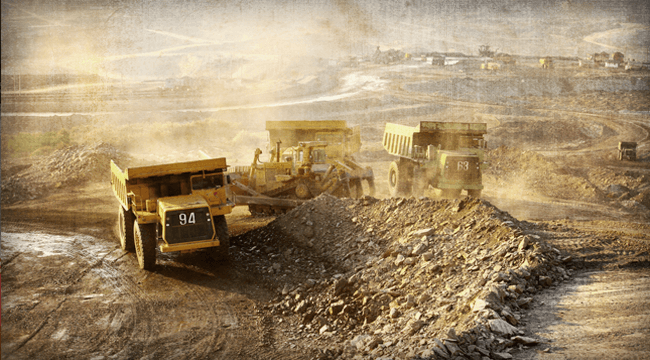 In Watford, Ontario, they have signed a 15-year lease to build Canada’s largest mining facility, a 100.000 sqare foot industrial compound that is going to consume 95MW of power. Now to the inner workings of their business model and token use-case: Starting November 2018, they will buy back tokens from the exchanges and burn them with 15% of their weekly mining proceeds as stated above. This will happen on a daily basis. Starting November 2019, every year until November 2034 token holders will be able to redeem their tokens for physical gold bullion. 1/15th of the token float becomes available each November on a first come first serve basis. This will happen annually every November. Each $DIG token is pegged to the worth of 0.02445 grams of gold. At the time of the whitepaper, that was exactly $1.00. At the moment it is slightly more. So the $DIG tokens act as a security in a 15-year convertible mortgage with the partnering bullion suppliers. Similar arrangements are made for the other tokens that will be pegged against silver, palladium and platinum. So recapping, once every year, 1/15th of the tokens can be redeemed for gold valued at around $1.00. Given the geopolitical state of the world, we could see a much higher gold price than that in the near future. This is the first hint at why $0.14 could still be an incredible price for $DIG, if this whole model checks out. Cryptobontix does not own all that gold yet. They are speculating that the mining profits will cover the costs of acquiring the needed annual amount of bullion that will be redeemed by their shareholders. The potential buying pressure from the weekly token burn could push DIG’s price above it’s backed worth in gold. On top of that, the intrinsic value of a cryptocurrency that is hard backed by a physical asset is of high interest to a market that is desperate for stable coin alternatives to Tether. The gold value acts as a form of integrated “stop loss” in this scenario. The whitepaper goes into great detail about the global economy, the crypto markets and the intricacies of trading and investing in precious metals. It clearly reads as if it was written by gold bulls well versed in finance matters that are enthusiastic about crypto. The whitepaper makes a very solid impression with questions like customer support, sustainability of the business model and marketing strategies covered. A crypto retailers market featuring a prepaid-debit card (“Arbicard”) that can be used at a retail or ATM level, exclusive (first to market) crypto gift cards, KYC services and a marketplace (“Arbitstore”), as well as the “Arbitrade Exchange” with arbitrage brokerage, margin trading/lending, the support of 10 Fiat currencies/300 crypto currencies and trading desk features (similar to Xtrade, Qash, but they are going for a decentralized exchange model). The main point that interests us here is the connection to the Cryptobontix token family: “To further protect market participants, and to mange volatility, Arbitrade will be working with various gold mining companies to build a wrapped insurance package to be backed by legitimate gold bullion.”⁴ Arbitrade is going to offer interest on deposits that they will (again) provide through crypto mining. Arbitrade is planning to be publicly traded in both the U.S. And Canada. From what we were able to gather, there are some big players and possibly institutional money behind Cryptobontix and their partnering company, Arbitrade. The Cryptobontix whitepaper is lacking a team section but Arbitrade can help us out in this regard. Cryptobontix have a partnership with Coin Miner LLC. They plan to acquire 65.000 mining rigs that will be put to use to mine BTC, Eth, Dash and Monero (one source mentions the recent delivery of 50 DragonMint 16T miners from Halong Mining⁸). A newsletter from March is projecting a time frame of 24 months to acquire the total amount of mining rigs that will be put to work on the family of precious metal tokens. From the newsletter about Coin Miner LLC and other crypto mining companies that they are looking to partner with: “Coin Miner brings over five years’ experience in industrial sized mining operations, infrastructure, and design. Coin Miner has offices in Cleveland Ohio, New York City, Miami and Shenzhen China. They have a global presence to be able to source equipment from manufacturers and suppliers easier than all other companies that the Arbitrade management negotiated with. Coin Miner has commenced sourcing the 65,000 units to fulfill the large contract Arbitrade is seeking to be completed in the next 24 months. Two more similar agreements are being negotiated at this time with the two leading manufacturers of mining equipment. Currently, the company is launching its first 1.800+ mining rigs which should earn a minimum of $150,000 even at these low coin prices [Cryptobontix referencing the bear market prices in March here].” The 1.800 mining rigs mentioned here are from Coin Miner, Bitmain, Halong and Canada Computers among others. They have partnered with Cryptotopic Inc. to build the mining facility discussed above in Ontario, Canada. The leading mining company, Barrick Gold Corp., is based in Toronto, Canada. The volume on $UNY leading up to the token swap was virtually non-existent. The volume picked up with the news and price and that was presumably UNY bag holders unloading and Cryptobontix starting to sell tokens to buy more mining rigs. A lot of the people that got in now don’t seem ready to dump. They and — again presumably Cryptobontix — are not selling at these prices but waiting for the tokens to get closer to their gold value. The daily coinburn buy back of the market will add a considerable and constant buying pressure for the Cryptobontix tokens. This could spark serious synergy effects, increasing gold demand and giving crypto people an easy way to diversify their holdings. A lot of crypto investors are interested in building up a position in gold but aren’t familiar with the traditional markets. “Essentially, the gold acts as a built in stop-loss for the tokens. The minimum price of the token will always be equal to the current value of the gold that is backing it. As the popularity of the cryptocurrency increases so does its value, making it even more valuable than the gold. In the event the cryptocurrency loses popularity, the price of the tokens will not drop below that of the gold.”¹⁷ We don’t agree with this fully. What this statement does not factor in is the opportunity cost of holding the coins for a year or two in order to redeem the gold bullion. What is most likely to happen is that the tokens (maybe after an initial spike due to attention and shilling) could trade below their gold worth but get a considerable fomo run every time November comes around. The coinburn and the speculative aspect of the gold investment could let the price go higher than the gold worth too over a longer period of time. “It did not take long before one requirement became glaringly apparent, and that is for a cryptocurrency to truly have value it needs to be backed by a hard asset. Once we determined that only hardbacked currencies would have the strength and longevity to endure, we developed a series of currencies that was assetbacked, insured, and created a way to build growth behind the tokens. In doing so, we created a true bullionbacked entity with an actual amount of bullion behind each token to create a guaranteed intrinsic value. We coupled that with a cryptocurrency mining operation that profitably mines other blockchain based cryptocurrencies. 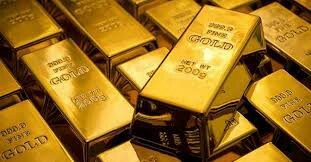 The result is an impervious series of tokens that withstand the sharp highs and lows seen by other cryptocurrencies.”¹⁸ — As clever as Cryptobontix overall strategy is, here is where they show a major flaw: They don’t hold the necessary amount of precious metals from the start but rely on their mining operation to generate enough returns in order to constantly buy more gold, silver, palladium and platinum off the market. Them stating that crypto currencies have no intrinsic value and need the backing of hard assets (the typical gold bull critique of crypto) would mean that their whole plan is build on shaky ground, even on the basis of their own market analysis. → Cryptobontix did however in a sense plan for that in their business model: They calculated a 30% weekly negative buffer for drops in market values, lost mining days, faulty equipment and mining difficulty increases. Another section where the whitepaper makes sense. Other than that, we personally are very optimistic about crypto going forward and are consequently optimistic about the success chances of the mining operation. The counterparty risk in dealing with one company storing the investors value over several years is significant. Their claims to perfect insurance are yet to be validated, although the insurance company they claim to be working with is a big deal. The business model we are looking at here seems very complex and confusing on first glance. If we understood everything correctly though, this scheme is pure genius. 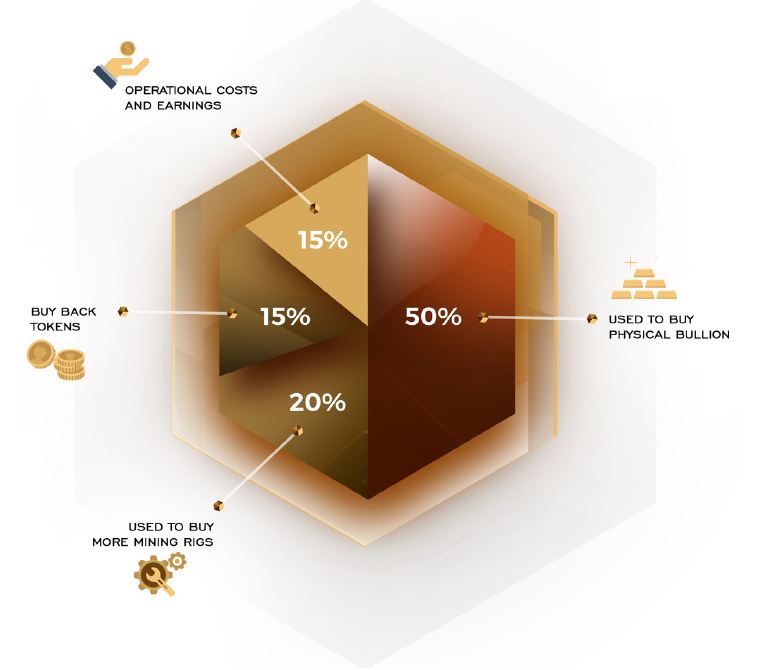 Cryptobontix have found a way to create a pegged token and introduce mechanisms to ensure that it is backed by gold in the ground and that they will have the necessary funds to deliver the gold incrementally over the course of 15 years. By buying back tokens at market price and burning them, they are introducing their own profit margin (apart from keeping all the assets they acquired) in speculating that most of the time they will buy and burn the tokens for less than what the redeemable gold will be worth at the end of the 15 year life cycle of the tokens. 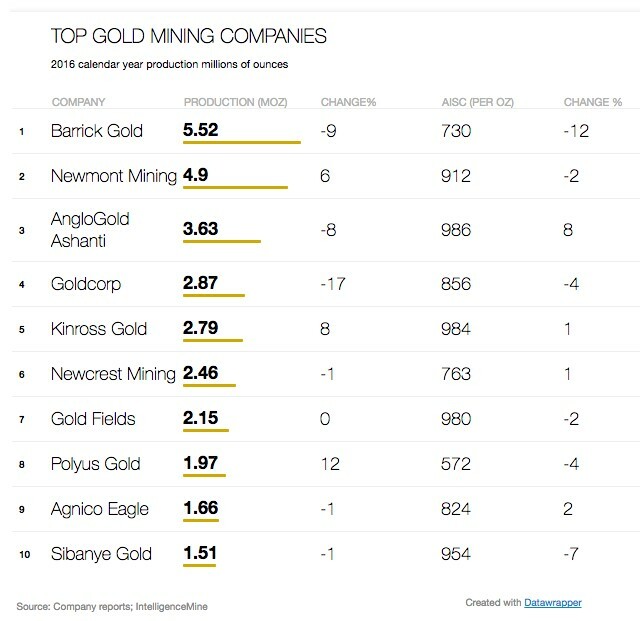 One of the key points is if this mining operation and the profit margins they predict are realistic and feasible. Will they have enough to buy the required gold in November 2019 and going forward? This is a question everyone should consider and look into before taking any steps. We offered our personal outlook above. Cryptobonitix’ and Arbitrade’s teams look very impressive. One concern we have is that a lot of them are not 100% committed as they serve roles at other companies. But even then they keep announcing new team members and we have reason to believe that this is just the start of bigger reveals. We did not cover Arbitrade much in this paper but it is another very impressive project. Especially the consumer-facing services like the gift card systems look very promising. They seem to have the necessary partnerships for something like this in place in the U.S. Already. The important point here is that both projects are linked and we will see news and further announcements out of this soon. If we agree that this plan is feasible and Cryptobontix/Arbitrade are likely able to execute then buying the tokens between 10–15 cents would still be early. And this is likely to generate some buzz in the crypto space and even in the broader media too: Crypto to gold, gold to silver, silver to dash, then lets go back to platinum, all with some simple clicks starting with a gift card at the gas station. Gifting precious metal and crypto for Christmas has never been so easy, “Tokenize it, they said”. So what makes this thing attractive and could get people interested in it? One thing that is easily conveyed is that this team is super strong for such an unknown project only trading on a single, unknown exchange called Livecoin. Then, this year we are expecting to see another parabolic market cycle that might be followed by a consolidation of the crypt market and naturally, a lot of people will be looking for ways to exit or to diversify into other assets. 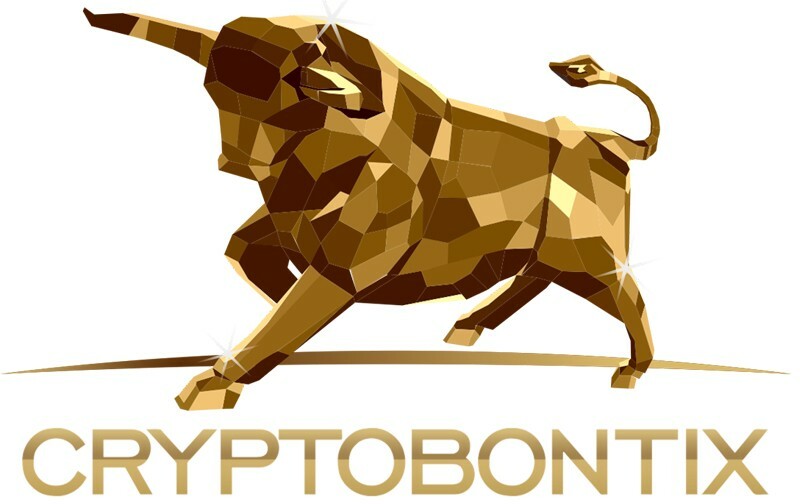 Around comes Cryptobontix that now offers us the opportunity to diversify into gold at a fraction of the actual gold price. And it makes it easy for crypto traders to do so, even possibly bringing in new buyers through Arbitrade’s Gift Card program. Looking at the global markets and geopolitical conflicts going on, gold could even go up in value until people start redeeming their tokens, making this even more attractive. We are expecting news about Arbitrade to hit on May 11, the one year anniversary of the original UNY ICO, and think that the beginning of a proper marketing cycle following that date is likely. ¹ Cryptobontix Whitepaper Version 1.5.1, p. 5. ³ Cryptobontix Whitepaper Version 1.5.1, p. 41. We contacted the team about this mechanism as it sounds as if there would be more gold to grab at the end. This does not align with the 1/15th per year quota though so we need clarification. We’ll discuss this in our overall thoughts. ⁴ Arbitrade Whitepaper v. 1.9.1.3., p. 9. ⁶ https://en.wikipedia.org/wiki/Evercore_Partners. 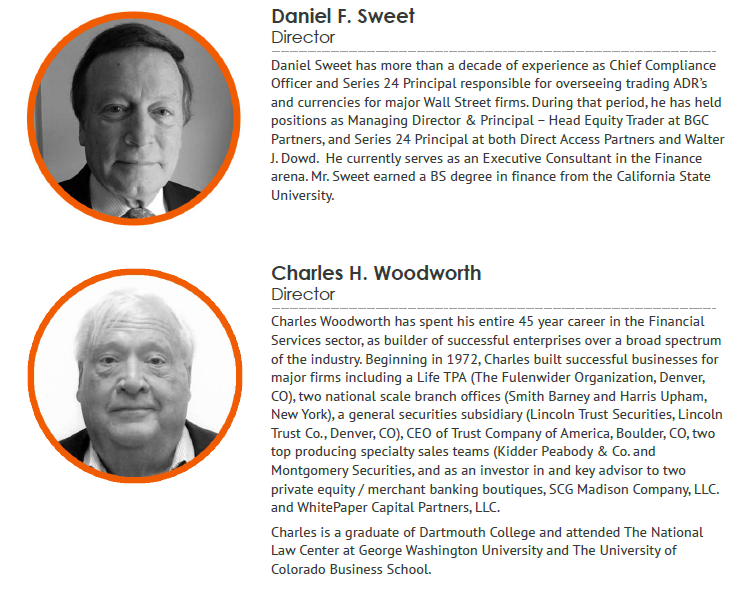 Schutzman’s affiliations are plenty and can be viewed here https://www.zoominfo.com/p/Leonard-Schutzman/1064777 and here https://www.bloomberg.com/research/stocks/private/person.asp?personId=644092&privcapId=143674994. Notice that his corporate headquaters are located in Vancouver, Canada. Timothy McGarvey’s company Axens.io recently moved to Canada, too, where the Arbitrade headquarters are located now. ⁸ https://i.redd.it/u6tnr30tfmh01.png Halong Mining are a direct competitor to Bitmain in China and are considered to become a possible Bitmain killer. The DragonMint miners are supposed to be the world’s most powerful Bitcoin miners right now besting Bitmain’s S9s (https://steemkr.com/bitcoin/@kingscrown/the-most-efficent-bitcoin-miner-is-coming-from-halong-mining-bitmain-in-trouble). The partner turned out to be Coin Miner LLC though, but Cryptobontix aquired a ton of Halong miners too. ¹⁰ Cryptobontix Whitepaper Version 1.5.1, p. 35. ¹² http://www.nextgroupholdings.com/sec.html; https://finance.yahoo.com/news/next-group-holdings-inc-provides-135700052.html?guccounter=1 The 2nd article is about a year old and so far they seem to have withered the storm. Still something to notice and monitor. ¹⁵ Cryptobontix Whitepaper Version 1.5.1, p. 43. ¹⁶ Cryptobontix Whitepaper Version 1.5.1, p. 30.